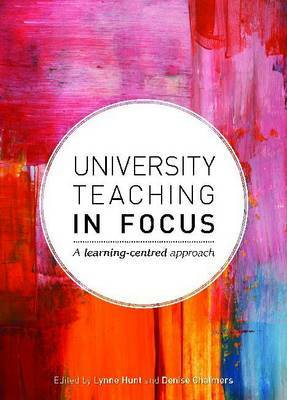 University Teaching in Focus provides a foundational springboard for early career academics preparing to teach in universities. Focusing on four critical areas ? Teaching, Curriculum, Students, and Quality and Leadership, this succinct resource offers university teachers a straightforward approach to facilitating effective student learning. It aims to empower university teachers and contribute to their career success by developing teaching skills, strategies and knowledge, and linking theory to practice. Written by internationally acclaimed experts, topics include learning theories, assessment, discipline-based teaching, curriculum design, problem-based and work-integrated learning, effective classroom teaching and flexible modes of delivery. The needs of diverse student groups are explored and the scholarship of teaching and learning is addressed within a quality and leadership framework. The clear and accessible style makes reference to seminal works and current resources. Real-world cases illuminate the theoretical content and ?Your thoughts? sections encourage reflection and adaptation to local contexts.